By default Windows does not allows you to format volume drive larger than 32GB as FAT 32 file system. Fat32 Format is a portable utility that allows you to overcome this size limitation. 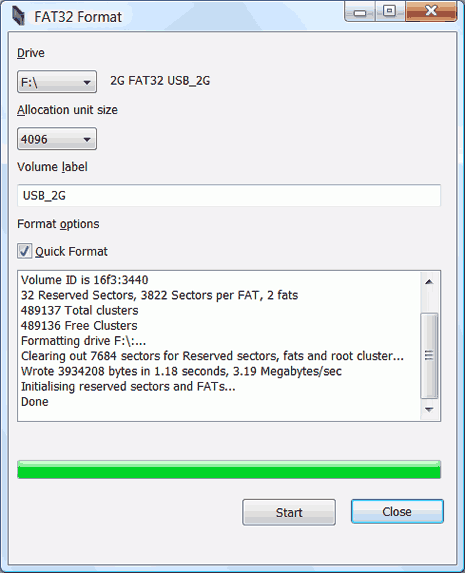 Using this utility you can format volume drives with large size as FAT32 file system. thank you works a treat. Same story here. Couldn’t format my 160GB drive to FAT32 in Win7 for use on my PS3. Now it works like a charm! Been trying to back up data from my brother’s ps3 for 2 days now!